Little girl went missing November 20th in the evening. 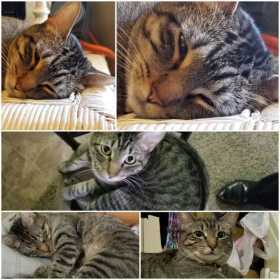 She is a short hair domestic tabby female cat who has spayed. She is shy and timid. She was wearing a teal collar with a bell on it. We are located in the Island Palms Apartments on Higley and Broadway in East Mesa Arizona.